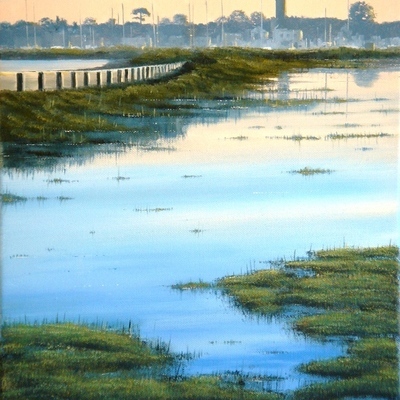 Coastal, marine and landscape artist painting predominantly Island scenes. The interaction of light and water play an important role in my work. I have work displayed in Cowes gallery Green Bouy, Seaview Gallery and Burfields at Ventnor. I try to update these galleries from time to time so recent work is always displayed. I am also represented by Daryl Davis Arts from Devon, this association allows me to supply mainland galleries. As I paint virtually every day new work is always available from my home. I also "serialise" some paintings as I go on my facebook page, I update the image as the painting progresses, please "friend request" me to get these updates, this isn't a tutorial, but it is fun, many people comment, not always constructive!! 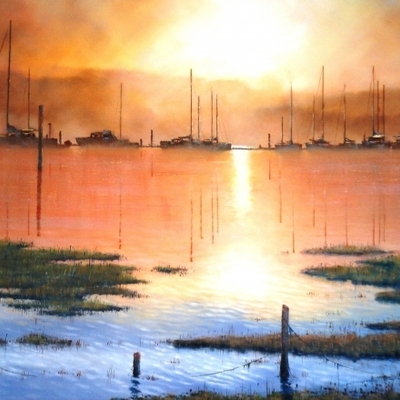 Chris specializes in oil paintings onto canvas or panel primarily of local marine subjects, he made the move to become a full time artist in 2008 having spent his working career as an engineer . A keen sailor, and having spent a lifetime being on, in or near the sea has given him an understanding of the interaction between water and boats. 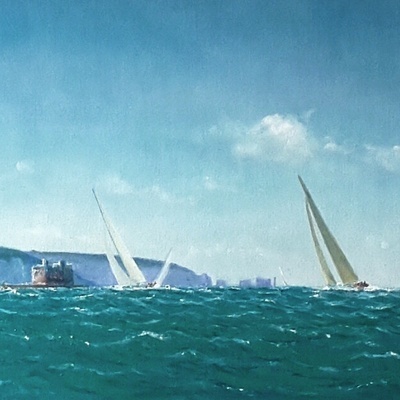 Chris is an active member of the Cowes Art Group and the Island Art Group and regularly paints on location as part of the art group and individually. 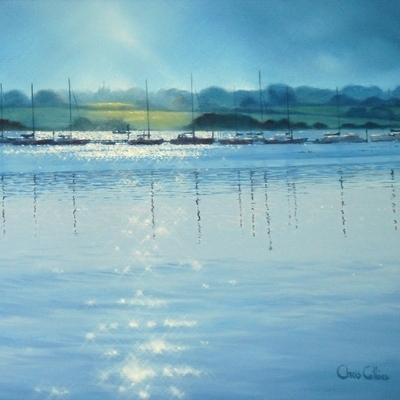 Chris has an annual exhibition in May at the Cowes Combined Club premises, Regatta House and takes part in the Isle of Wight Open Studios event in July. His paintings have been widely collected and he has customers in Australia, New Zealand and America.